Auto Insurance Center analyzed more than 65,000 Instagram posts with the hashtag '#RoadRage' to find out when and where road rage is at its worst. WASHINGTON — They tailgate you, they cut you off and you get mad. 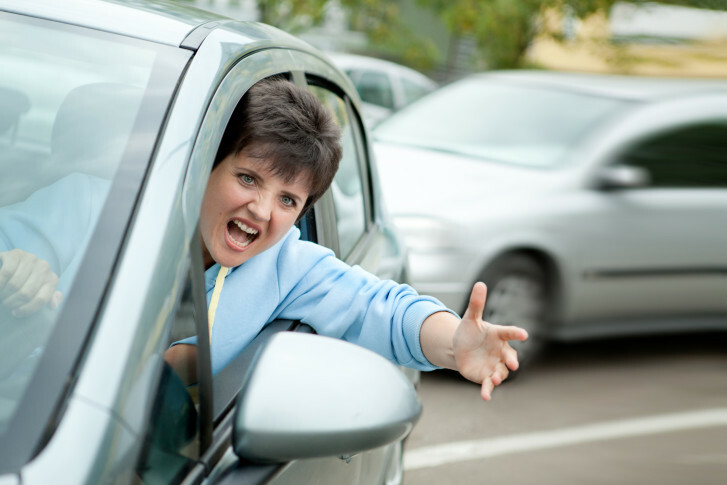 You probably have a case of road rage and you certainly aren’t alone. Auto Insurance Center analyzed more than 65,000 Instagram posts with the hashtag ‘#RoadRage’ to find out when and where road rage is at its worst. Turns out road rage peaks in the late afternoon during the rush back home, with 6 p.m. being the worst hour. The best time to avoid road rage is right before the morning rush, from 4 to 6 a.m.
Friday is the worst day of the week for road rage, though Tuesday through Thursday aren’t too far behind. Monday and Saturday road rage were less common and Sunday was the best. Generally, the hot summer months tend to see more heated tempers. August was easily the worst month for road rage and the spring months of May and April were the best. The worst state for road rage is Hawaii. The website pointed to tourists driving on unfamiliar roads as the culprit. Other bad states were freeway-friendly California, dense New York and New Jersey, and wide open Nevada and Utah. For cities, Washington, D.C. was ranked the 13th worst city for road rage, worse than other big cities like Dallas, Philadelphia and Boston. At the top of the list were Los Angeles and New York, both known for long commutes. Tiny Mount Pleasant, North Carolina, which sits outside of Charlotte, does not reflect its name and was third. The top five were rounded out by Chicago and San Diego. The insurance website offered a few tips to help drivers avoid road rage. The best way is to soothe your own anger while driving by breathing deeply, and for longer trips, take a break. Lastly, adjust your schedule to expect delays. To avoid becoming a road rage victim, they recommend ignoring other drivers’ rude gestures, not sharing your own creative gestures, minimize your horn use and never challenge another driver. If you are concerned about an aggressive driver on the road, you are encouraged to contact police.